Packages ready to choose, in the most popular tourist destinations in Mexico. Enjoy great exclusive discounts and special offers such as months without interest, online booking, payment directly at the hotel, it is great because you have control over the most popular tourist destinations. You can enjoy while you select the purchase option that is most comfortable for you, it is flexibility and absolute efficiency. Mexico City, Cancun, San Jose del Cabo, Guadalajara, Monterrey, Puerto Vallarta, Acapulco, Puebla, Merida and Querétaro. Love does not have to be perfect, you just have to be honest. We want to thank you for the excellent package for our honeymoon, everything was so wonderful, in fact we always noticed from the first moment that everything would be special with you, and it was. We asked for more days to enjoy our honeymoon more, thanks to the fact that we were able to obtain more, with so many savings, that we extended the dates for our honeymoon. Everything was dreamy, we always received excellent comments from the photos we shared of the beautiful places we met thanks to their recommendations, in Amada Madonna they are creators and makers of dreams. Esmeralda Fuentes and Jesús Eduardo Vera. Prices expressed in US dollars (USD). Offers on flights to Mexico City. 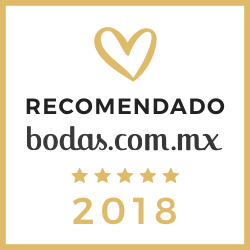 Recommended hotels in Mexico City. Good, nice and cheap hotels in Mexico City. Do you want more options with exclusive discounts? You can make quick searches on flights and hotels to customize your travel package to your liking, with the greatest offers and exclusive discounts. Offers on flights to Cancun. Good, nice and cheap hotels in Cancun. Offers on flights to San Jose del Cabo. Recommended hotels in San Jose del Cabo. Good, nice and cheap hotels in San Jose del Cabo. Offers on flights to Guadalajara. Good, nice and cheap hotels in Guadalajara. Offers on flights to Monterrey. Good, nice and cheap hotels in Monterrey. Offers on flights to Puerto Vallarta. Recommended hotels in Puerto Vallarta. Good, nice and cheap hotels in Puerto Vallarta. Offers on flights to Acapulco. Good, nice and cheap hotels in Acapulco. Ofertas en vuelos a Puebla. Hoteles buenos, bonitos y baratos, en Puebla. Offers on flights to Merida. Good, beautiful and cheap hotels in Merida. Offers on flights to Querétaro. Good, nice and cheap hotels in Querétaro.